A classic toy is back. 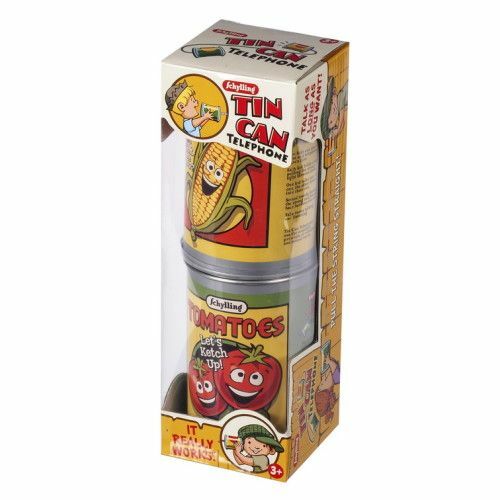 Pull the cans apart so the string tightens and use the cans to speak into, while your friend listens on the other end. 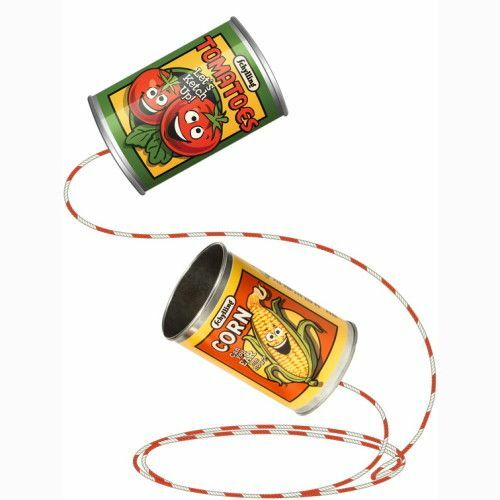 The original telephone toy that really works.